In Person or Online: Check the schedule of upcoming courses. This training is designed for data science, data analysis and who want to do machine learning by writing R or Python code. This course will start with some explanation of different machine learning algorithms and approaches. Then, some discussion on basic statistical analysis will be provided such as probability, factor analysis, hypothesis testing and so forth. Then the process of machine learning from business understanding, data cleaning, feature selection, model selection, split data for testing and training, evaluating the created model and finally developing and visual the trained model and analyzing the result will be presented. For predict analysis algorithms such as decision tree, boosted decision tree, decision forest will be explained. The concept and how they work will be explained. Then how to set parameters for each of them will be illustrated. Also, the process of data preparation for each of these algorithms will be discussed. Finally, the related code for writing this algorithm in the cloud will be explained. The same process will be done for the descriptive algorithms such as clustering. In this two days training, the audience will learn some deep concepts for machine learning, data analysis, main algorithms for predictive, descriptive and statistical analysis using R, R in Power BI and SQL Server. The main concepts, life cycle and best practice of doing machine learning with Microsoft product will be explained. In this section, the audience will learn some of the algorithms such as Decision tree, Decision Forest, regression and SVM for the aim of predictive analytics. The main concepts of these algorithms will be explained, and the related R or Python code will be shown. How to analysis the trained model and set up the parameters also will be discussed. Finally, how to evaluate the result will be explained. Descriptive analytics is an unsupervised learning approach. In this part, the audience will be familiar with some of the main algorithms for descriptive analytics from text mining, clustering and, Market basket analytics. 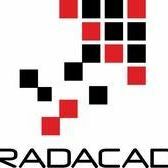 Kenny McMillan, Sports Physiologist / Data Analyst, Frankfurt, Germany:I attended RADACADs “Advanced Analytics” course recently in Frankfurt in May 2017. Being a regular user of Power BI (with a science background ) the course was extremely helpful in showing me how to incorporate R data visualizations into Power BI dashboards and for introducing me to machine learning using the Microsoft ML Studio. 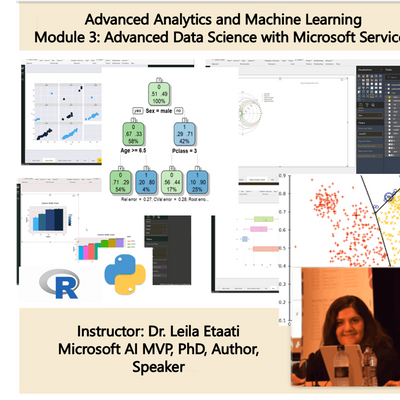 Leila is an excellent and extremely knowledgeable instructor and explained complex data analytical concepts and methodologies in an easy-to-understand manner. I thoroughly recommend this course to anyone who wants to expand their data analytical skills and knowledge. Cancellation:Cancellation up to 5 weeks before the event: full refund minus administration fee ($50) and credit-card processing fees (if applicable). *transfer can be done only once, and it can be only transferred to another date not later than 6 months from the original event.No Show:No fee will be refunded for no show.